Our mission is to elevate and enlighten the professionals who have attended Presentation workshops on delivery and content development and still feel like they are missing something. We provide that missing "ah ha" link that takes a presentation from "pretty" to "amazing." We offer both one-on-one and full day seminar consultations. We currently offer Saturday workshops that really get into the "How To's" of taking a presentation to the next level. To find out more and book your next class, call 804-715-8087 or register online. Email is our best method of contact. 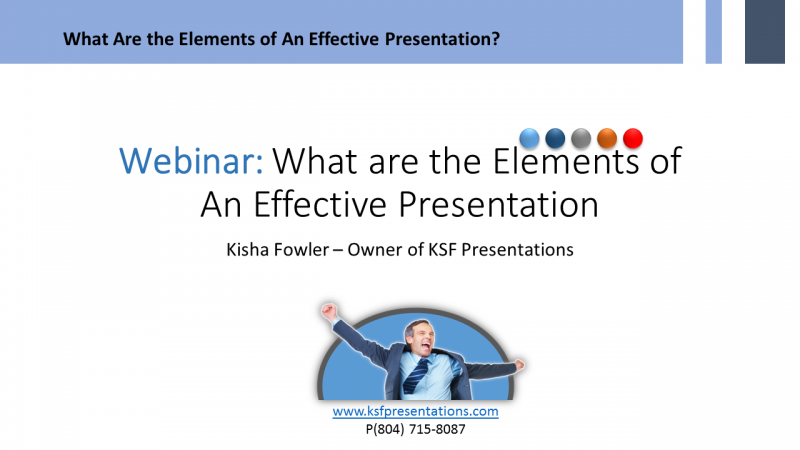 Feel free to send an email to support@ksfpresentations.com. ﻿Copyright 2014 KSF Presentations. All rights reserved.